Many years ago I participated in a conference with Manpower Inc, where the keynote declared that 80 percent of the jobs of the future do not exist today (then). This has proven true. Who would have thought that someone could have a career of mapping businesses on online map tools (Apple Maps or Google Maps). Who would have thought it would be a full time job to ensure your company has sufficient visibility on social media. I recently stayed at an AirBNB apartment in Paris, where the woman revealed to me that acquiring properties and renting them out on AirBNB was her full time job!! I was recently in Chicago, where posted in the L train was what seemed to be an advertisement for people who would rent their idle cars out to people looking for short-term rentals. Helen Leighton is an Executive Coach and Leadership and Organization Development Consultant based in Ontario, Canada. 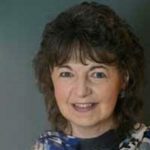 Helen received her BA in Organizational Psychology from McGill University and her MBA from McGill University and the London Business School, and is an Adler Trained Coach, having completed the Adler Coaching Certificate Program. Copyright © 2019. OrganizationDynamic. All Rights Reserved.